From a different angle the “I’m holding up the Tower” pic looks like everyone’s doing tai chi. 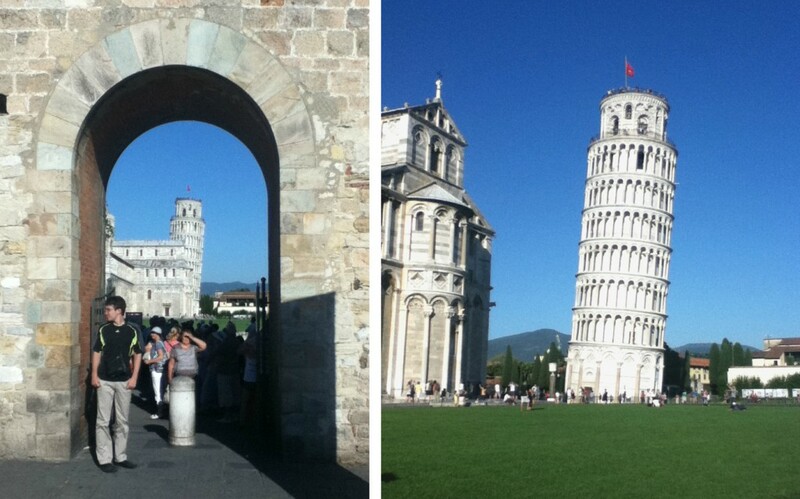 The Leaning Tower is actually the church’s bell tower. 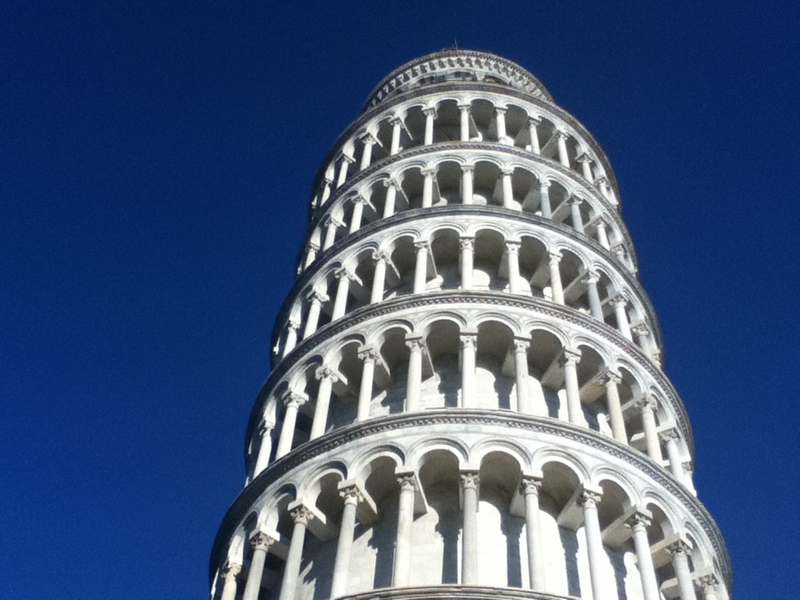 It’s not that tall, but the complex is big. 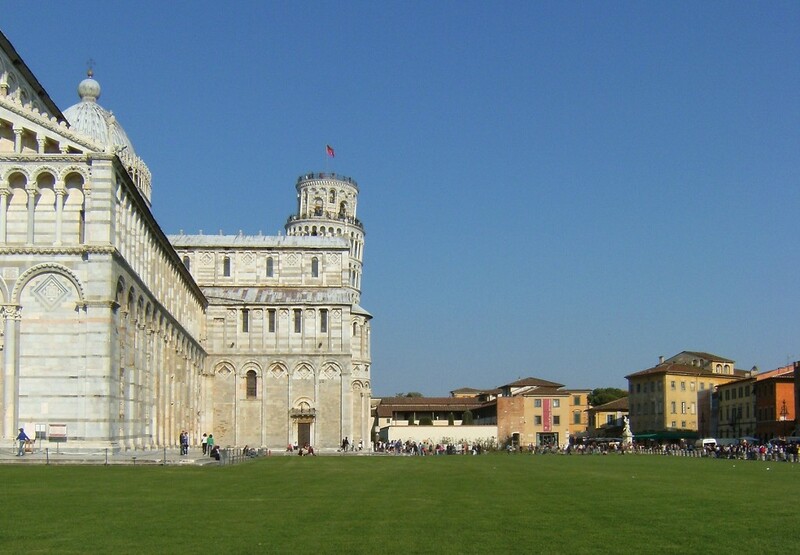 You can tour the Pisa Cathedral for free and the Baptistery for a few euro.